Liverpool's pursuit of Daniel Sturridge ended after the Chelsea forward made it clear he was only interested in a permanent move. Negotiations between the clubs had begun late on Thursday night, just hours after Liverpool allowed on loan. Chelsea were open to allowing the 22-year-old to leave on loan, but the player himself wanted a permanent move. Liverpool's Charlie Adam has joined Stoke for £5m on Friday. Meanwhile, midfielder Jay Spearing has left Anfield to join Bolton on a six-month loan deal, having undergone a medical at the Reebok Stadium. 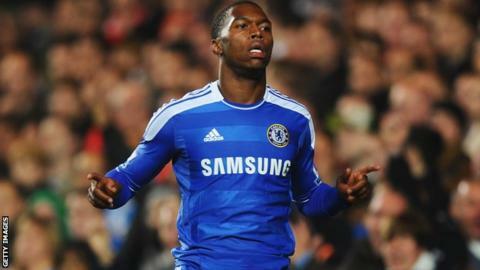 Sturridge remained with the Chelsea squad in Monaco for Friday evening's European Super Cup against Atletico Madrid.